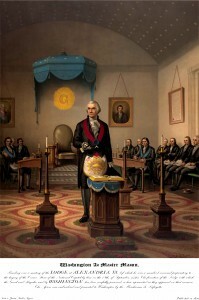 Painting of George Washington in Alexandria Lodge No. 22 in front of alter and opened Bible. Excerpts reproduced with permission from the Masonic Service Association.